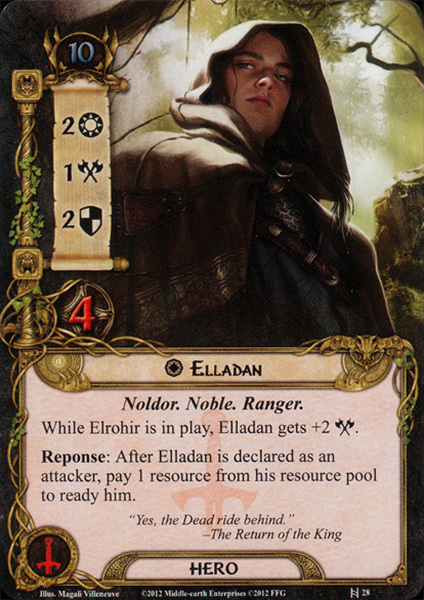 Elladan and his twin brother Elrohir were the children of Celebrían and Elrond. 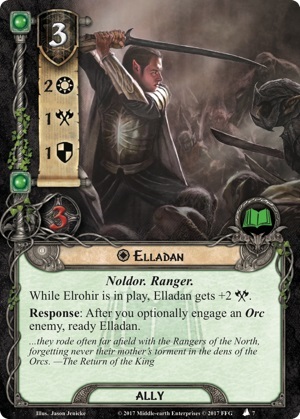 The first of the twins, Elladan ('Elf-Man') was named so as a token of his ancestry; he was descended not only from the royal houses of the Noldor, the Vanyar and the Sindar, but also from the Houses of Hador, Haleth and Bëor of the Edain. The brothers were tall, dark-haired and grey-eyed, and so much alike that only those that knew them well could tell them apart. 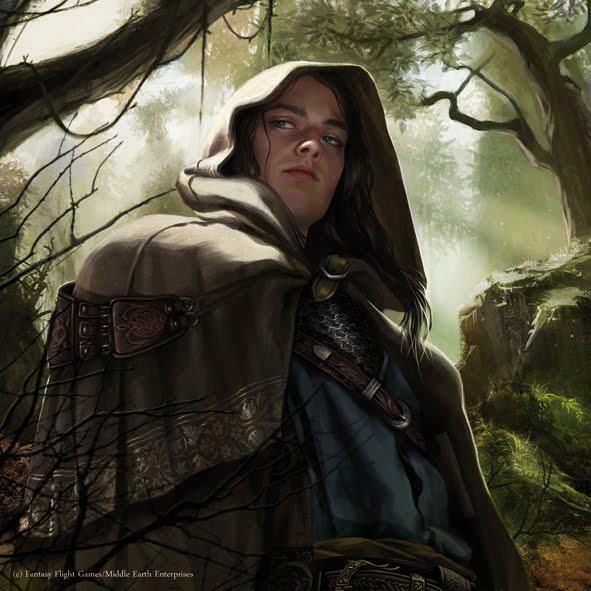 To Meriadoc Brandybuck their elven-fair faces seemed neither old or young. While in the Grey Company they wore cloaks of silver-grey over a bright mail. In the early part of the War of the Ring, the brothers' main role was to scout the land and prepare the way for the Fellowship; around November T.A. 3018 they were sent by Elrond to a secret errand, passed down the Silverlode into a 'strange country' and were the last to return to Rivendell, in December. In earlier editions, the year T.A. 139 is given as the twins' birthdate.